My Simple Obsession: Lamps.Com Contest and Giveaway! So I have some very exciting news for not only My Simple Obsession, but for our readers TOO! 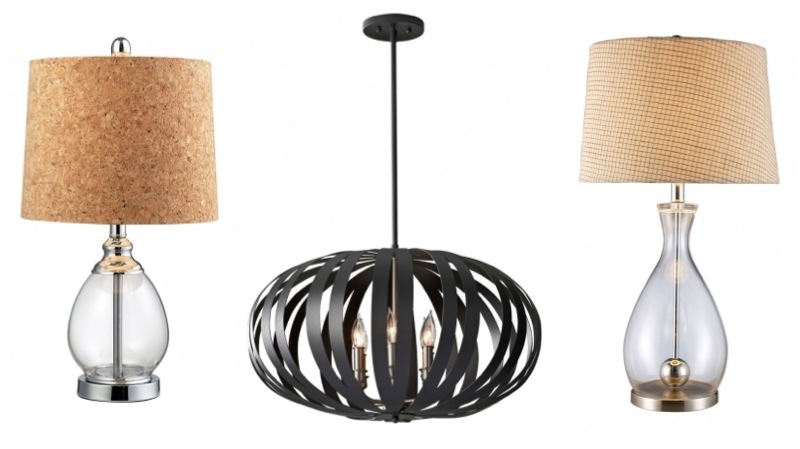 Recently we were contacted by Lamps.com to enter into their DIY Chandelier Face Off. I don't know about you all but I love lamps.com. I am always on there looking for new lights when it comes to upgrading my standard builder grade lights. My 3 year old and "the man" call them "Boobie Lights"- I know Right. You know you all have thought it too. Here is the cool part. If we win, My simple obsession gets a $100 Gift card to Lamps.com and one of our lucky READERS will get a chance to win a $100 Gift card as well! Awesome Right! So here is what we have to do. Go to this Link HERE and vote for the White beaded Chandelier. There can only be one vote per email address. If you have multiple address GREAT! The more the merrier! Also, Share, Share, Share. The more that we get this out the better chance that we will be able to share the lucky prize with one of you! Currently I have my eye on one these beauties for my living room. Which fixture from Lamps.com would you get if you won the $100 gift card? Until next time keep creating, living, and obsessing. i voted for you! i want $100 lamps.com gift card! and i love your chandelier!